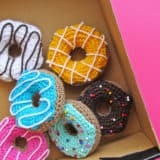 When it comes to DIY home tips and small renovation projects, we’re total suckers for a good “life hack”. 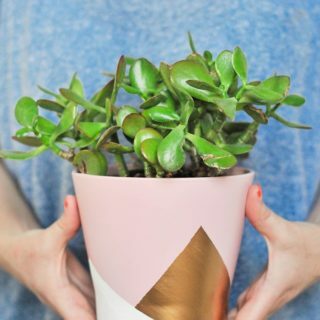 While we’re not afraid of tackling bigger projects in our home by any means, we definitely do appreciate quick fixes and smaller creative ideas that let us improve as many things around our house as possible, making little day to day chores easier for everyone. 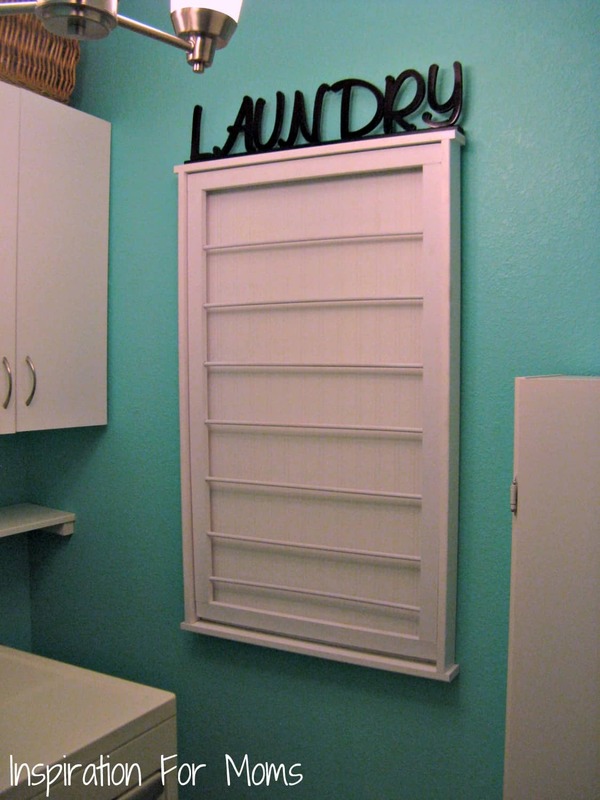 Lately, we’ve focused our attention on our laundry room. 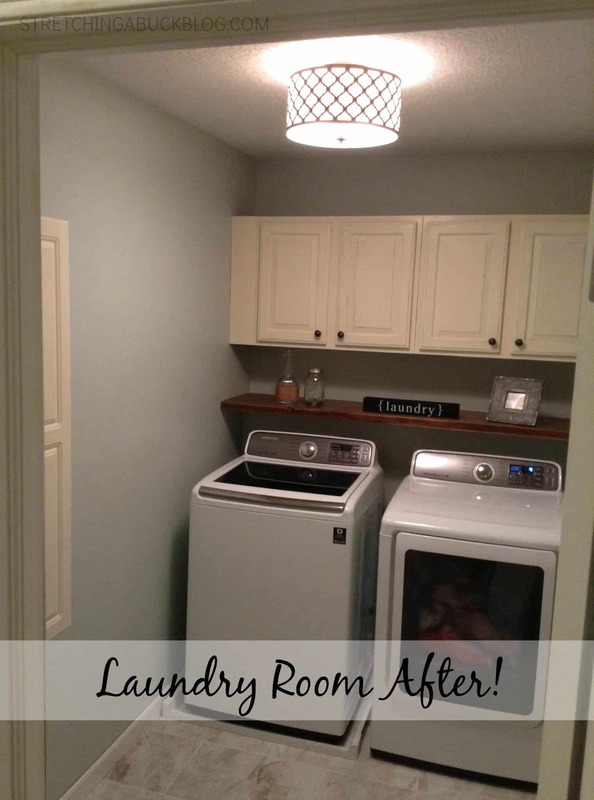 It’s a fine room and all, but we can’t help but feel like there are a few changes we could make in the space to really maximize our laundry potential and keep the place neat, tidy, and working well. 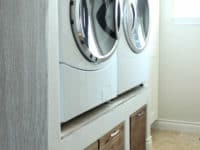 Just in case you’re on the same page as us when it comes to wanting a nice looking but ultra functional laundry room, check out these 15 awesome DIY tips and tricks that we’ve found in our search, totally love, and can’t wait to try out! 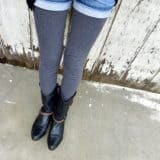 Are you having trouble getting your family to sort their laundry before they wash it, or at least separate their colours so that you can have a slightly easier time washing everyone’s clothes together without a pink sock sneaking its way into the whites? Then it sounds like labelled colour sorting baskets might be the best answer! 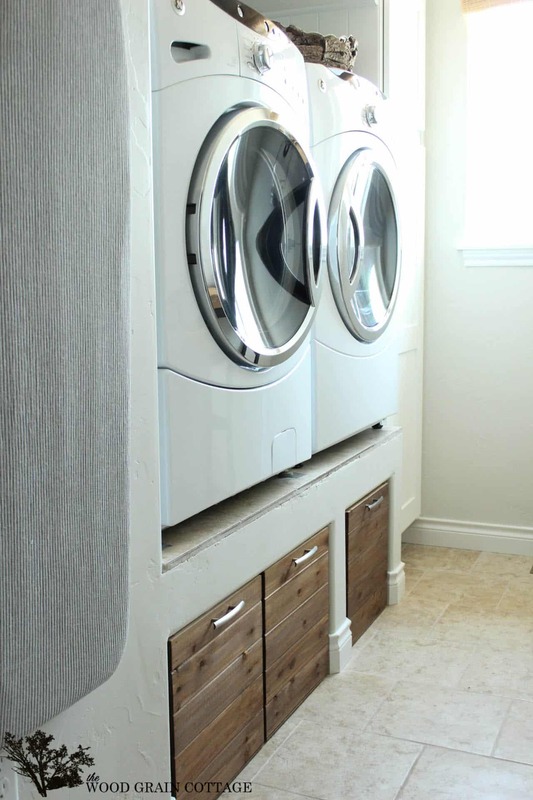 If your laundry room is anything like ours, however, you might not have the space to put an extra laundry hamper or three in there. 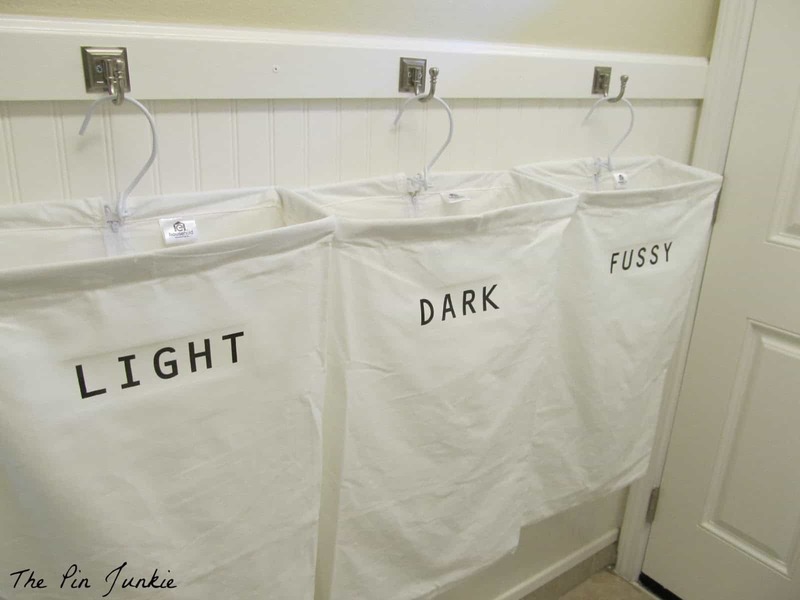 That’s why we were so glad to find this awesome labeled bag idea from The Pin Junkie! 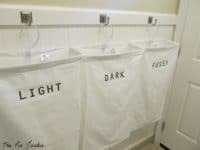 They show you how to put simple hooks on the wall and, on each one, hook a bag labeled for dark, light, and coloured laundry loads. 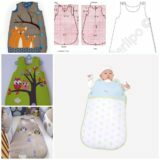 Is your main problem right now not having the space to store things or hang things in between loads of laundry or once they’re finished being washed but waiting to be steamed or ironed? Are you prepared to take on a project that’s a little more of a challenge when it comes to being handy? 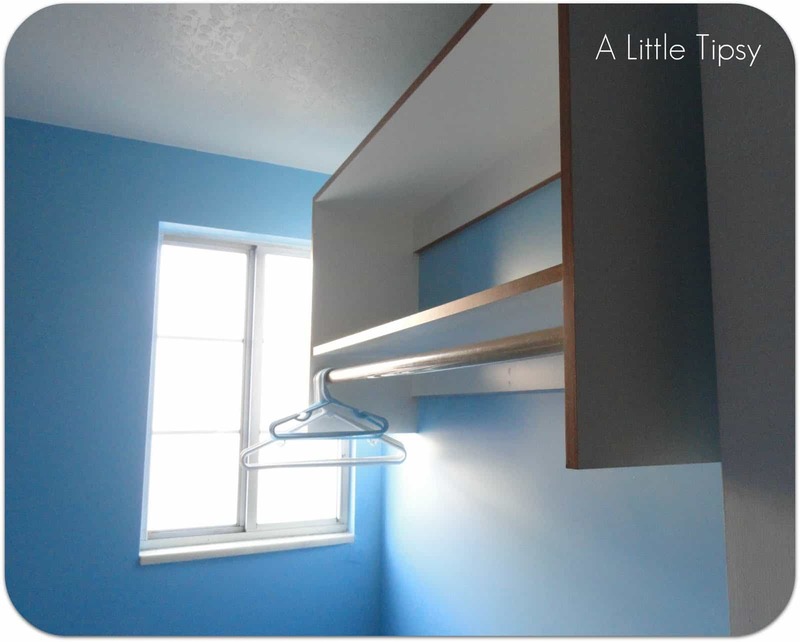 Then perhaps you’d benefit from building or installing yourself a hanging rack with a shelf above! We recently made ourselves one designed similarly to this one from A Little Tipsy. Their tutorial shows you the steps for following suit. In our family, in addition to making sure everything is sorted well before we do the laundry, we usually end up having to carefully sort everything after as well! Between socks going missing in the dryer and the kids borrowing stuff from friends or having friends over and getting their t-shirts mixed up, we end up with all sorts of laundry strays. 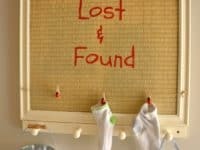 That’s why we fell so in love with this “laundry lost and found” idea from The Cards We Drew! 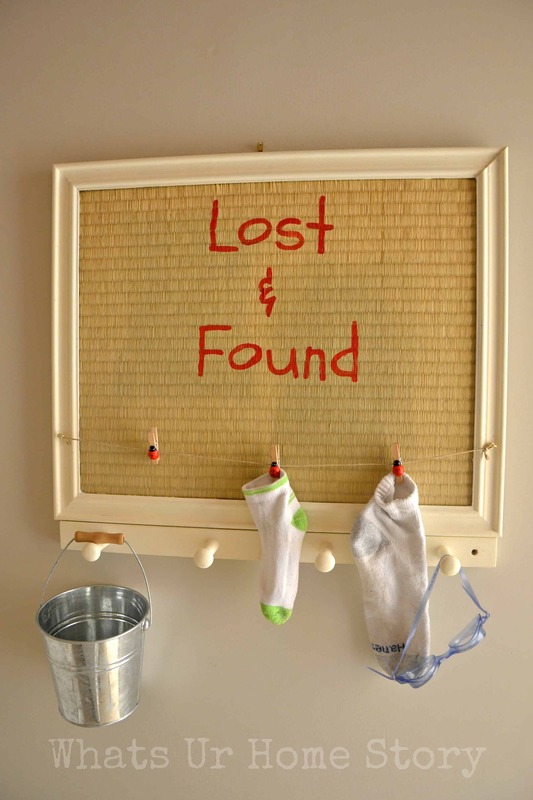 They suggest framing a pin board and adding some simple hooks and a mini clothesline along the bottom so things can be clipped or pinned in place until their rightful owners are found. 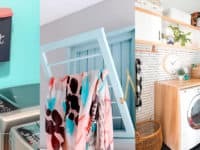 Are you actually building your own home or renovating your laundry room and you’re looking for ideas that can be incorporated more in the actual design of your room? Are you prepared for a little bit of building if it means saving and maximizing the space you’ve got to work with? Then we have a feeling you’re going to love this laundry pedestal design from The Wood Grain Cottage! They’ve raised their washer and dryer off the ground so that the space underneath can be used for storage. 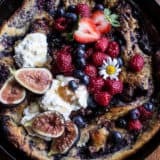 Perhaps you’d like a little extra space for hanging but you don’t have the room to have a drying rack set up at all times because you have to move around and carry full baskets in and out? Then this pull-down wall rack is exactly what you need! Pull it down for a bit while some things dry and fold it away when you need the space. 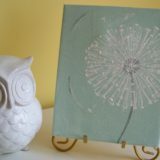 Find out how it’s made and installed on Inspirations for Moms. 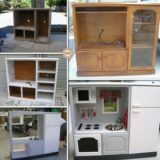 W’ve been thinking about adding a cabinet in one corner of our laundry room for a bit of extra shelving space, but if we’re going to take up that floor space, we’d like to make sure that we make it the absolute most useful cabinet we could possibly have! 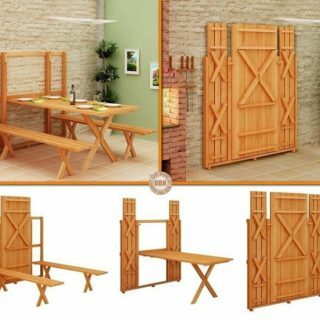 That’s why we were so pleased when we found this unique design suggestion from Remodelaholic. 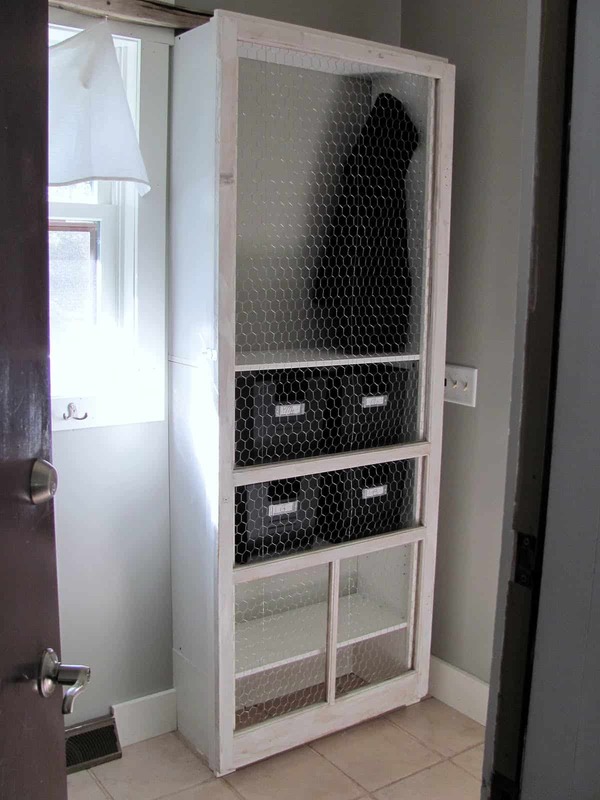 They show you how to replace the glass panes in a cabinet door with metal mesh or chicken wire so that hangers will fit through the wholes, just to give you a little bit of extra space to work with when you’re washing things that need to be hung up rather than folded. 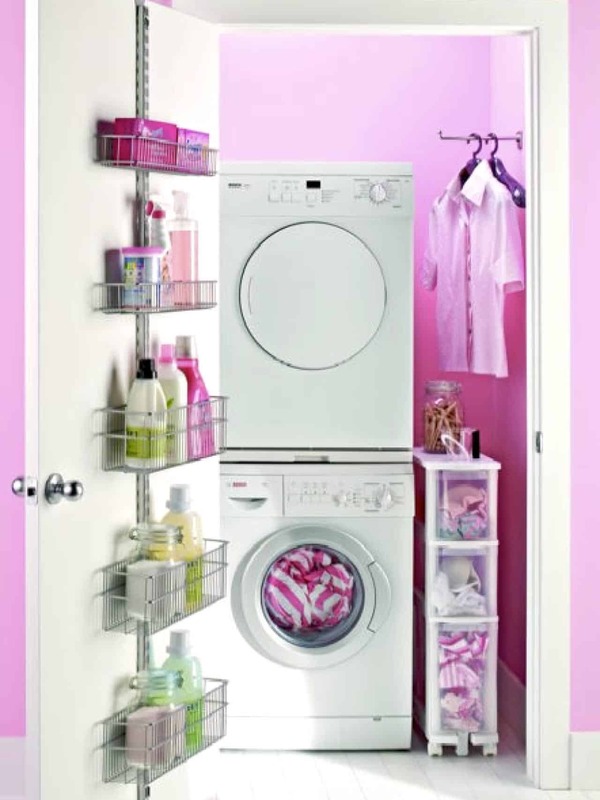 Perhaps when you decided you wanted to “redo the laundry room”, you actually really just meant the décor? Just because it’s not a room that visitors won’t often see doesn’t mean it shouldn’t be a nice place to be, especially since you actually spend quite a bit of time there. 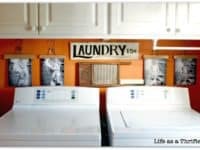 Just in case you’re looking for themes and décor schemes, here’s an adorable vintage laundry design complete with tips and tricks for making it happen from Life as a Thrifter! 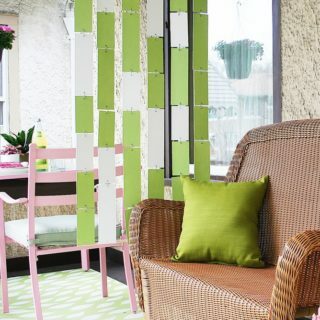 We love the idea of using an old washtub scrubber as a wall piece. 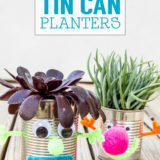 Maybe you’re just in need of some extra shelving space and you don’t need it to be anything crazy or complicated, but you’d still like a bit of guidance because you’re usually a little more “crafty” than you are “handy”? Then this tutorial from Pink When is just the kind of resource you need! 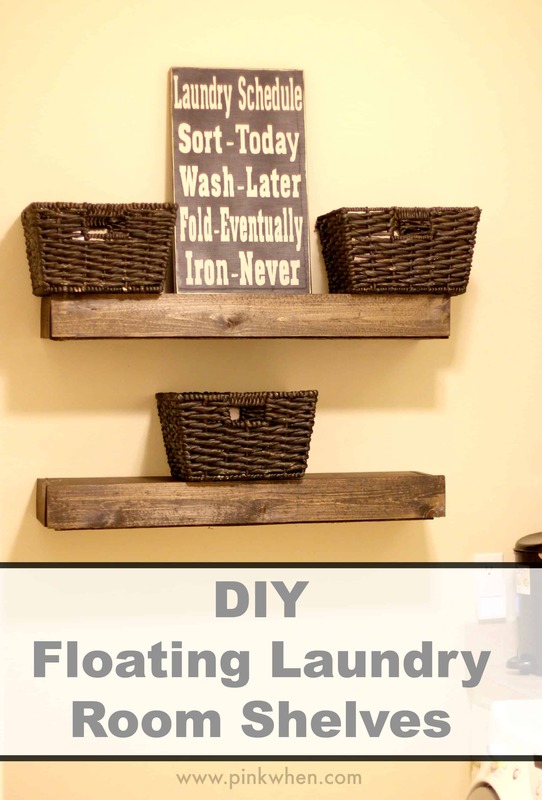 They guide you through the process of hanging a series of floating shelves that you can place wherever is most convenient for you. 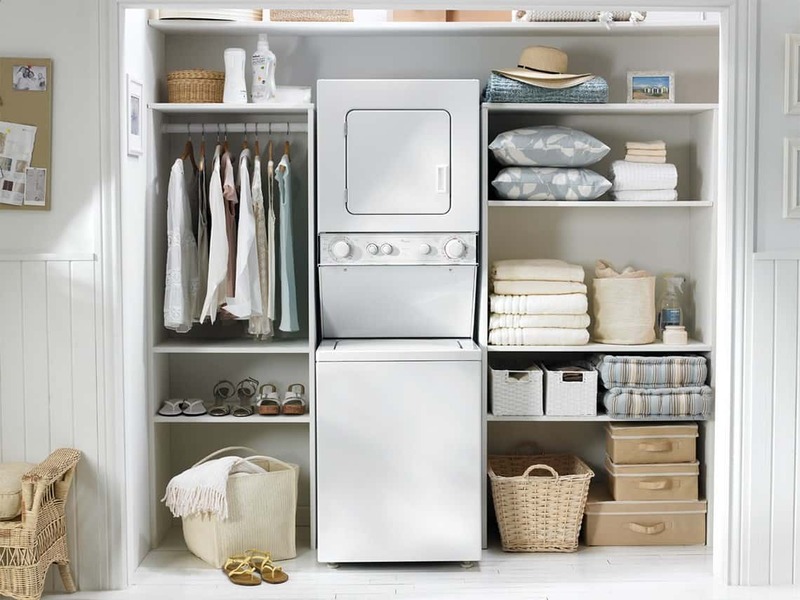 Are you living in a small space, like an apartment or little town house, and you do have your own washer and dryer but you don’t have much of a laundry space to work with? Then maybe you’d benefit from building yourself a shelving unit and storage area around and above your machines to give yourself more of a functional space to work with! 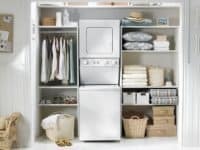 Icon Home Designs shows you a few tips for setting up your cubbies and organizing your things in a way that will help make your laundry process easier. 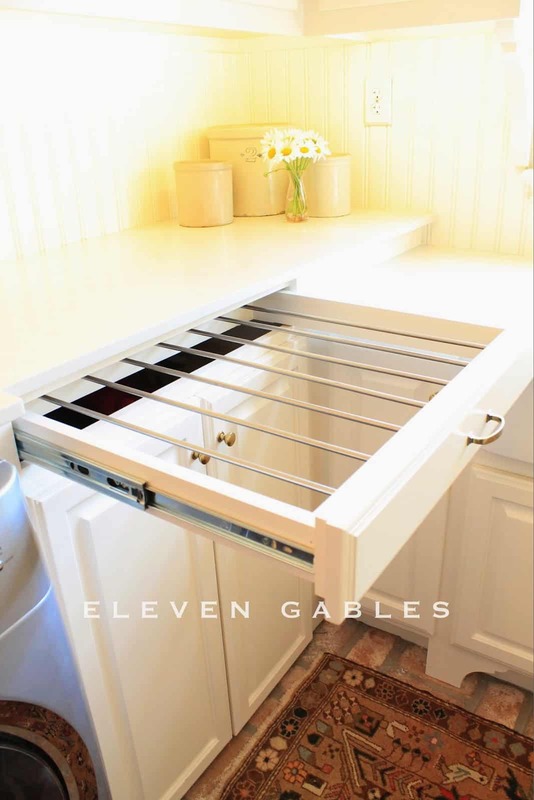 Did you like the idea of finding a laundry solution for small living spaces but you’re not sure even the shelving idea we just showed you will fit in the spot you’ve got to work with? In that case, check out this awesomely colourful little laundry closet idea from DIY Network instead! 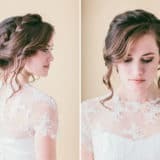 Of course, your version doesn’t have to be bright pink if you’d prefer another colour, but the basics of this tutorial are great no matter what shade you choose. They’ll show you how to use every bit of space, including the spot beside the machines by the wall and the back of the door. 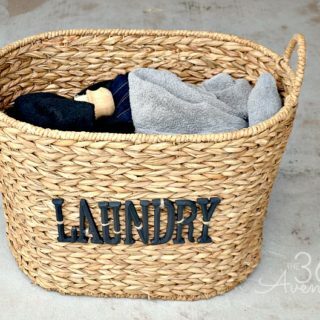 Is the biggest issue in your laundry room the baskets and where to put them between uses or while they’re being filled up with the week’s clothes? 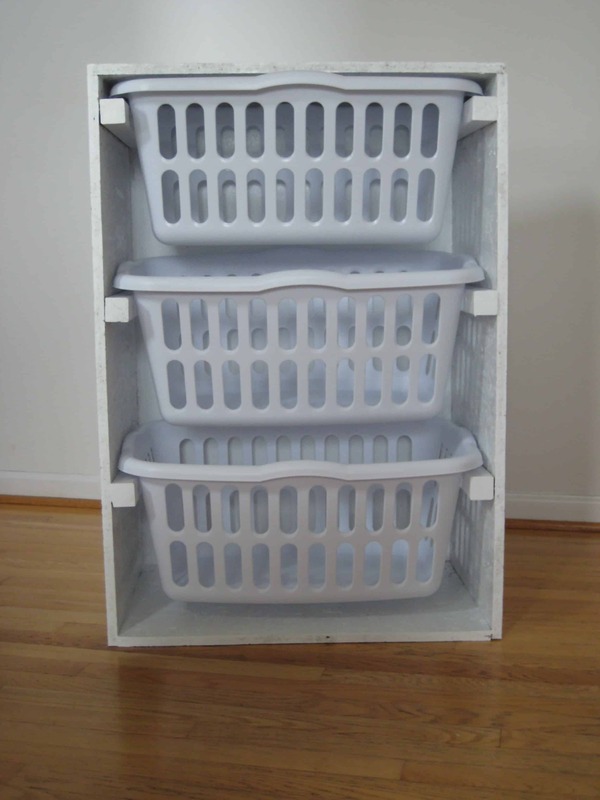 We just don’t have the room to have laundry baskets hanging out on the floor, so we started looking for stacking solutions that would help us save a little bit of space. That’s how we came across this awesome tutorial from Ana White for making a set of basket “drawers”. 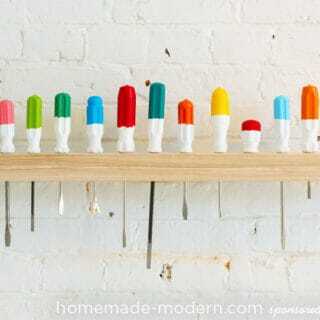 Pull them out of the frame when you need them or to fill them, and slide them back in for easy storage in between! Have you ever seen those built-in cutting boards in kitchens that slide into the counter and look like a drawer when they’re closed but save you from having to use up counter space when you cut vegetables? 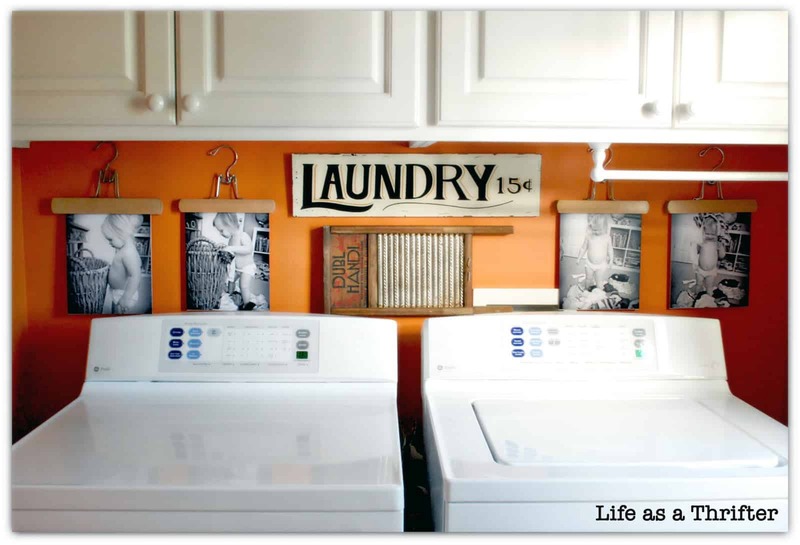 Well, this creative homemade drying rack idea from Home Decorating DIY is like a laundry room version of that! 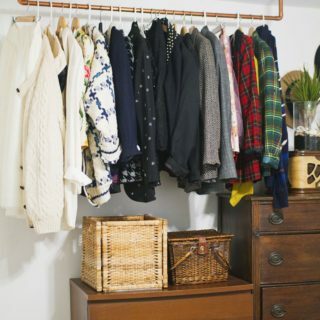 Pull it out when you have some things you need to hang up and push it back in to save space when you’re done. 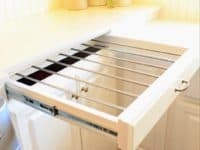 Are you mostly just look for little ways to spruce up your laundry space and make it a bit more of a pleasant place to be, rather than making any actual big changes? 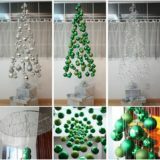 Well, here’s an idea that will make the room feel more homey if you spend a lot of time in there cleaning, folding, and ironing things. 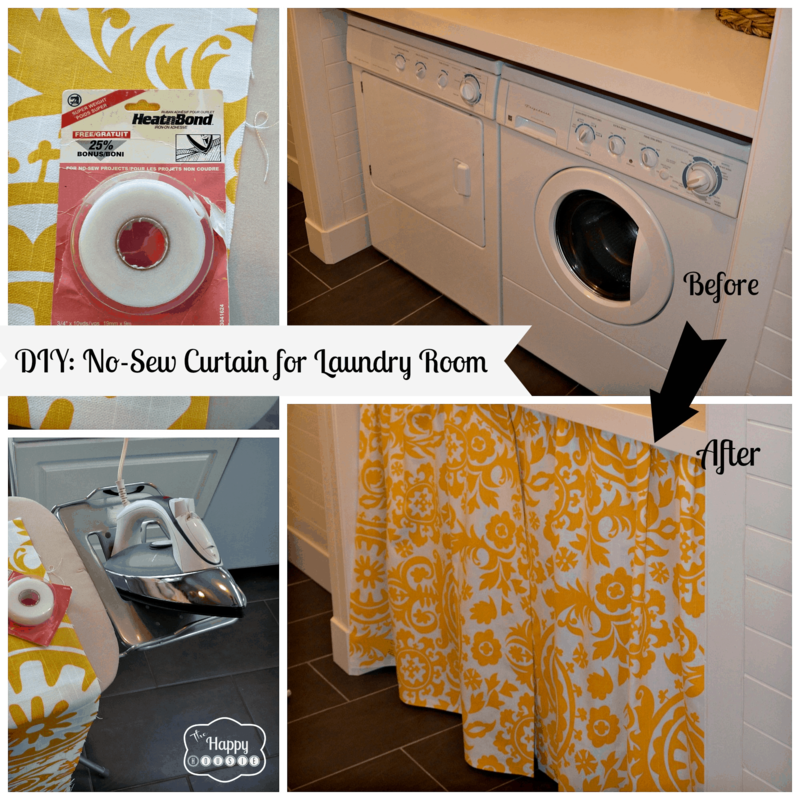 The Happy Housie shows you how to sew a very simple curtain and hang it up in front of your laundry machines if you have the kind that sit under a table or counter. In a place that gets a lot of use, it’s amazing how effective the tiniest helpful features can be in your daily life. For example, we actually did make ourselves one of these funny little wall mounted lint buckets from Hex Performance and it’s amazing how often we actually use it! 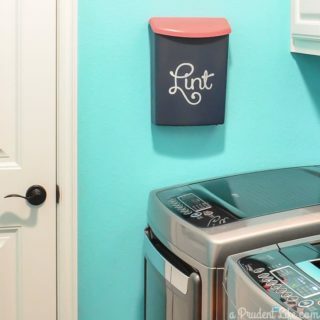 It’s as easy to make as mounting a mailbox on the wall, but we love the cute lettering so your family knows what it’s for too! 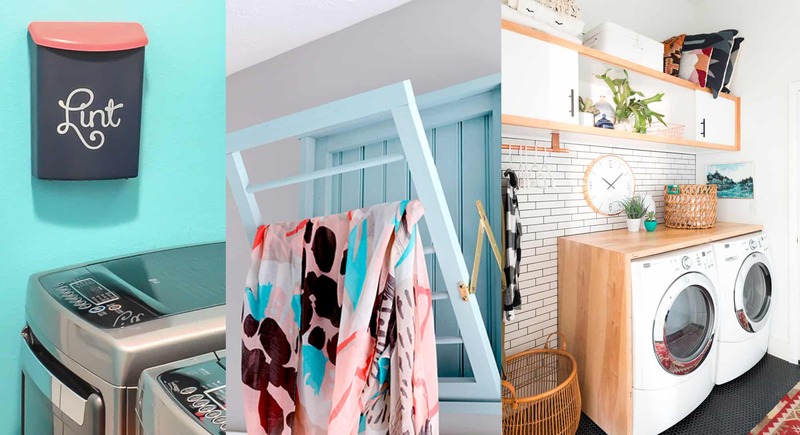 Perhaps you’ve been scrolling through our list looking for a project that’s a little more intensive because your laundry room is in need of more serious help and you want to overhaul the entire thing, but you need some guidance and inspiration? Then check out this entire makeover tutorial from Stretching A Buck instead! They walk you through the process in a lot more detail than the other more specific projects we’ve shown you so far.